The “Killer Kid” William Lujan starting off the year in the best way possible, in pumping El Quemao, Lanzarote. A Blank Canvas focuses on the journey of three central individuals, Brenden Newton, Harry Dixon and Adam Benwell. Reeflex team riders Acaymo Martin, Rafa Medina and Amaury Lavernhe tucking into some grinding pits in Lanzarote. Canarian Wintertime with Álvaro Padrón, shot in Lanzarote and Tenerife. 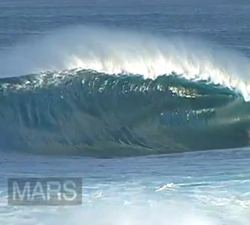 Video: Jorge Lekunberri and Pacwaves. Edit: Pacwaves. Mars. Waves on the closest planet. 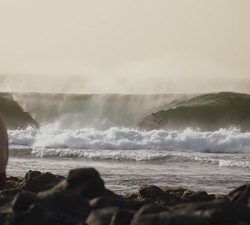 A great short film that tells a different story about Lanzarote and the bodyboarders who surf there. The final day of highlights from the 2017 Quemeo class bodyboard division, which was completed in perfect offshore conditions. Day one of highlights from the 2017 Quemeo class bodyboard division, which was in perfect offshore conditions. 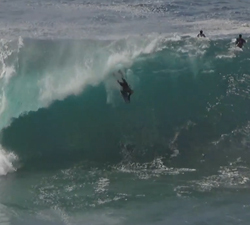 Reeflex team riders Amaury Lavernhe and Diego Cabrera go wave for wave in this high flying clip by Jorge Lekunberri.